The compact 2x2plus features two 2K outputs, up to eight HD layers, and two uncompressed QuickTime animation layers for playback. 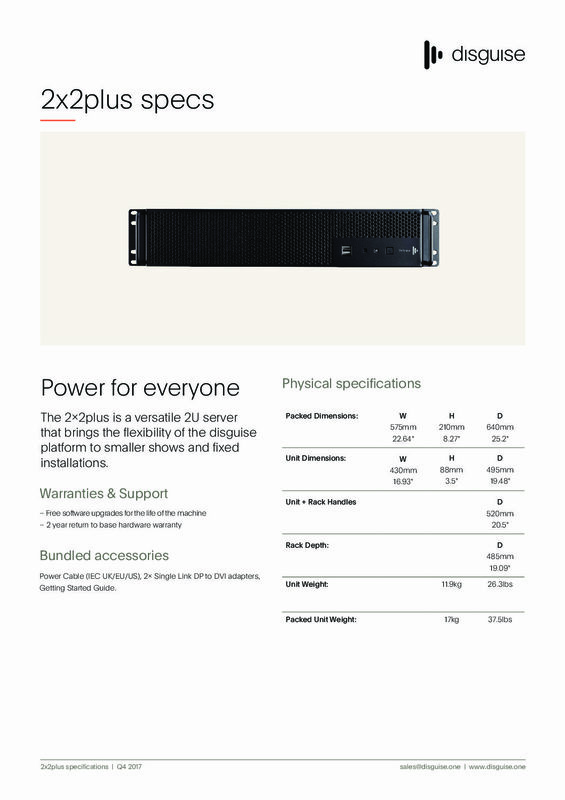 It provides enough power for smaller theatre, architainment and fixed installation applications. 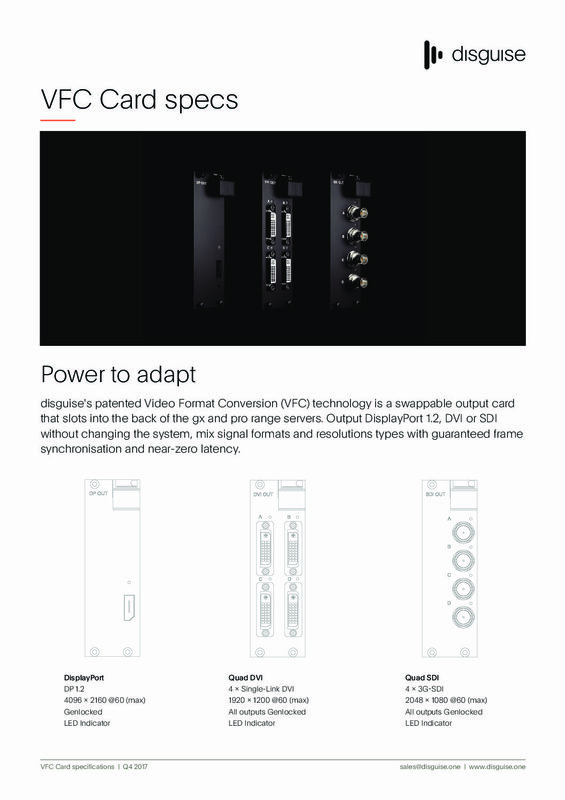 Optional ProAudio features and video cards for 3G-SDI and DVI Dual Link allow the media server to be expanded and customized to meet different needs. 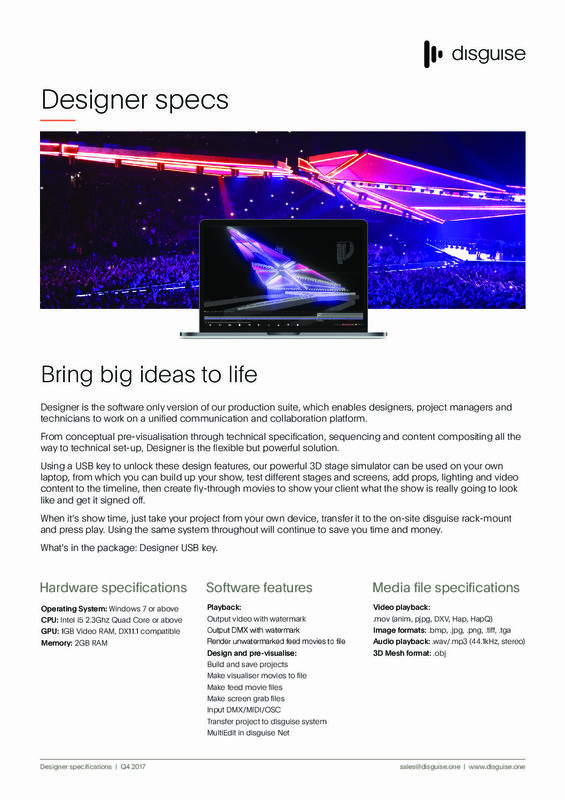 In combination with the disguise software suite the 2x2plus is a versatile solution for standalone applications as well as in combination with the more powerful disguise media servers.